The Galaxy S8 Lite won't be just a rumor by the end of the day, as Samsung plans to unveil the mid-range smartphone later today. The South Korean company has already sent invitations to the launch event, which also reveals a new piece of information that we didn't know about. Apparently, the Galaxy S8 Lite will be launched on the market with a different name that wants to convince customers they are going to buy a luxury handset. According to the invites sent by Samsung, the upcoming smartphone will be introduced as Galaxy S Light Luxury, not Galaxy S8 Lite. As far as the specs go, nothing has changed and the Galaxy S Light Luxury remains a mid-range device. It has the same bezel-less design as the Galaxy S8 and features a large 5.8-inch FHD+ Infinity Display. On the inside, the Galaxy S Light Luxury packs a Qualcomm Snapdragon 660 processor, 4GB RAM, and 64GB expandable storage. Sadly, this one doesn't come with a dual-camera on the back, but owners will be able to enjoy the benefits of having a 16-megapixel rear-facing camera. There's also a secondary 8-megapixel camera in the front, which should take high-quality selfies. Samsung even added the Bixby button and fingerprint scanner on the back of the phone. Finally, the Galaxy S Light Luxury will be powered by a 3,000 mAh battery and it will run Android 8.0 Oreo. 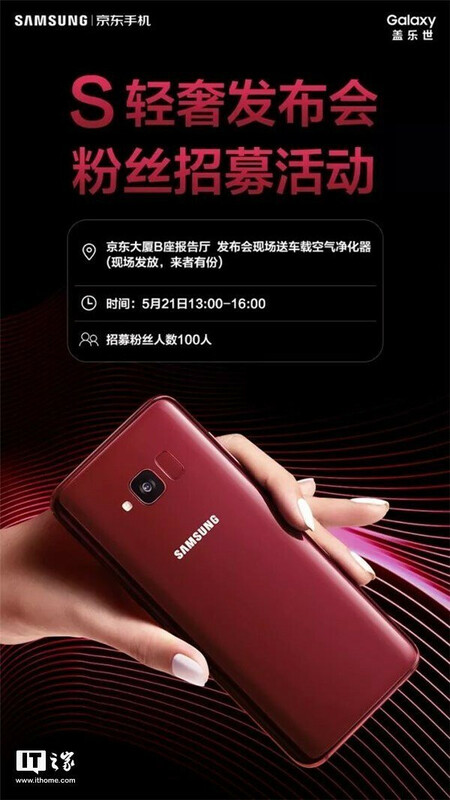 The smartphone will be officially unveiled in China later today, and it's yet unclear whether or not Samsung will bring it to other markets in the coming months. The tacky name is enough to predict its failure. Does momma know you are out of the basement on the PC or her phone. Read my post below, I even think it's a dumb name. Now you can STFU also. Come on Samsung, it's a mid range phone. Drop the luxury, it doesn't belong on a mid range phone. No thanks, gonna wait for Samsung Galaxy S Light 2 Luxury Pro Edition. Didn't even read the article or you would have known they didn't say the price. Damn, you trolls are not to bright. But other articles around the web DO give the price. It's coming in at $626 / £466, so here in the UK Samsung is selling the S8 at £400 which makes this S8 Lite £66 more expensive when it's an inferior phone than the S8.